Nine features will advance to the next round of voting in the Foreign Language Film category for the 87th Academy Awards®. Eighty-three films had originally been considered in the category. Foreign Language Film nominations for 2014 are being determined in two phases. The Phase I committee, consisting of several hundred Los Angeles-based Academy members, screened the original submissions in the category between mid-October and December 15. The group’s top six choices, augmented by three additional selections voted by the Academy’s Foreign Language Film Award Executive Committee, constitute the shortlist. Hot Docs Canadian International Documentary Festival and Shaw Media are pleased to announce the Shaw Media Diverse Voices Program, which will provide six to eight emerging Canadian filmmakers of diverse backgrounds with training in documentary and factual television production. Taking place during the 2015 Hot Docs Festival, the program will guide participants through an intensive training module and seminar series, career management workshops, and networking events with industry professionals. The Shaw Media Diverse Voices Program will focus on documentary and factual television production and show running, including proposal preparation, the production cycle, financing, co-production, and access to broadcasters. The horrors of war, the heroism of sacrifice, a vaudeville pioneer, the devil and a master of the macabre represent the diversity of an elite selection of films that have been recognized as cultural, historic or aesthetic cinematic treasures. 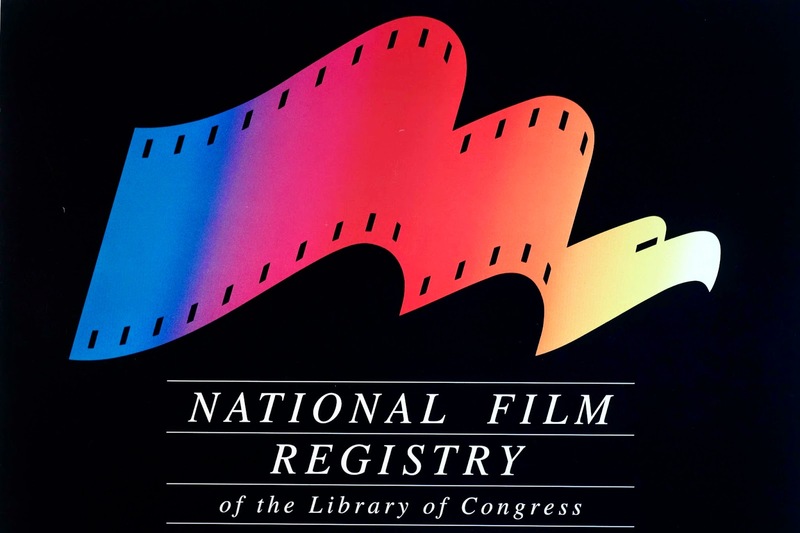 Librarian of Congress James H. Billington announced today the annual selection of 25 motion pictures to be named to the National Film Registry of the Library of Congress. Selection to the registry will help ensure that these films will be preserved for all time. "The National Film Registry showcases the extraordinary diversity of America’s film heritage and the disparate strands making it so vibrant," said Billington. "By preserving these films, we protect a crucial element of American creativity, culture and history." 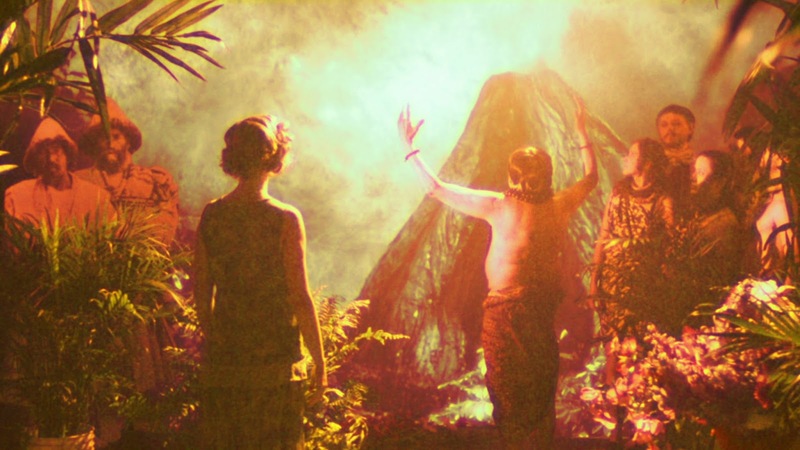 Spanning the period 1913-2004, the films named to the registry include Hollywood classics, documentaries, silent movies, student films, independent and experimental motion pictures. This year’s selections bring the number of films in the registry to 650, which is a small fraction of the Library’s vast moving-image collection of 1.3 million items. 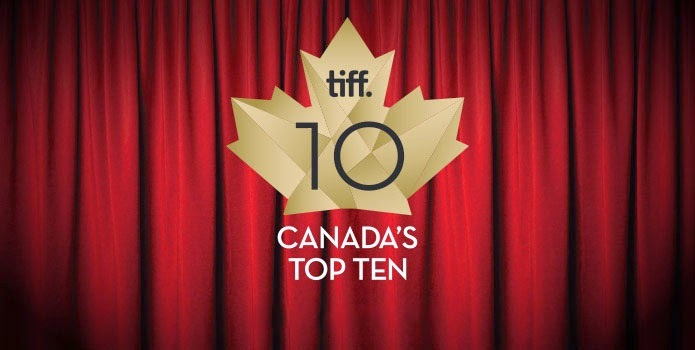 The 14th annual Canada’s Top Ten Film Festival kicks off at TIFF Bell Lightbox on January 2, 2015, offering 10 days of public screenings of the year’s top 10 features, shorts and student films. Established in 2001, the Canada’s Top Ten Film Festival celebrates excellence in Canadian cinema and raises global awareness of Canadian achievements in film. The festival features introductions and Q&A sessions with filmmakers — including Sturla Gunnarsson, Harold Crooks, Maxime Giroux, David Cronenberg, Andrew Huculiak, Marie-Hélène Cousineau and Stéphane Lafleur— as well as two special onstage events: In Conversation With... Naomi Klein and Avi Lewis on January 10, and In Conversation With... Keanu Reeves on January 11. 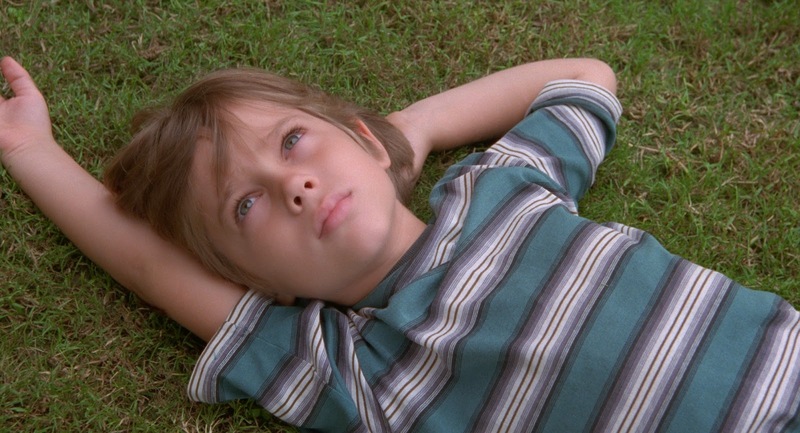 Boyhood, Richard Linklater’s era-spanning look at a Texas kid’s life from his first week of school to his first week of college, has won three top prizes at the 2014 awards of the Toronto Film Critics Association. In addition to the film’s Best Picture award, Linklater has won Best Director, and Patricia Arquette has been named Best Supporting Actress for her role as the young protagonist’s mother. The awards were voted by the TFCA at a meeting on the afternoon of December 14. The membership also named its three finalists for the Rogers Best Canadian Film Award Enemy, directed by Denis Villeneuve; The F Word, directed by Michael Dowse; and Mommy, directed by Xavier Dolan. The Academy of Motion Picture Arts and Sciences have announced the short list in the Makeup and Hairstyling category for this year’s Oscars. On Saturday, January 10, 2015, all members of the Academy’s Makeup Artists and Hairstylists Branch will be invited to view 10-minute excerpts from each of the seven shortlisted films. Following the screenings, members will vote to nominate three films for final Oscar consideration. The Black List was compiled from the suggestions of over 250 film executives, each of whom contributed the names of up to ten of his or her favorite scripts that were written in, or are somehow uniquely associated with, 2014 and will not have begun principal photography during this calendar year. This year, scripts had to receive at least six mentions to be included on the Black List. All reasonable effort has been made to confirm the information contained herein. Sundance Institute today announced the addition of 10 films, events and New Frontier installations to the 2015 Sundance Film Festival, January 22 to February 1 in Park City, Salt Lake City, Ogden and Sundance, Utah. The Festival is is the centerpiece of the year-round public programs for the Institute, which also hosts 24 residency labs and grants more than $2.5 million to independent artists each year. With these additions, the 2015 Festival will present 123 feature-length films, representing 29 countries and 45 first-time filmmakers, including 19 in competition. These films were selected from 12,166 submissions, including 4,105 feature-length films and 8,061 short films. Of the feature film submissions, 2,016 were from the U.S. and 2,089 were international. 106 feature films at the Festival will be world premieres. The Broadcast Film Critics Association (BFCA) has announced the nominees for The 20th Annual Critics’ Choice Movie Awards. The winners will be revealed at the Critics’ Choice Movie Awards, which will broadcast live on A&E from the Hollywood Palladium on January 15th at 9pm ET/ 6pm PT, the day the Academy Award nominations are announced. This is the first year that the BFCA will partner with A&E to broadcast the show. The ceremony for the 27th European Film Awards was held this year at the Latvian National Oscar House in Riga. The Polish film Ida by Paweł Pawlikowski was the big winner on the night. It won the award for Best European Film as well as the awards for Director and Screenwriter. It was the previously announced winner for cinematography. Additionally, it won the People’s Choice Award. Acting awards went to Marion Cotillard for Two Days, One Night and Timothy Spall for Mr. Turner. The Academy of Motion Picture Arts and Sciences today announced that 114 scores from eligible feature-length motion pictures released in 2014 are in contention for nominations in the Original Score category for the 87th Oscars®. The Academy of Motion Picture Arts and Sciences today announced that 79 songs from eligible feature-length motion pictures released in 2014 are in contention for nominations in the Original Song category for the 87th Oscars®. Three hundred twenty-three feature films are eligible for the 2014 Academy Awards®, the Academy of Motion Picture Arts and Sciences announced today. To be eligible for 87th Academy Awards consideration, feature films must open in a commercial motion picture theater in Los Angeles County by midnight, December 31, and begin a minimum run of seven consecutive days. The nominations for the 72nd Golden Globe Awards were announced bright and early this morning at the Beverly Hilton hotel. During the traditional pre-dawn ceremony in Beverly Hills, HFPA president Theo Kingma introduced Kate Beckinsale, two-time Golden Globe Award-nominee Peter Krause, Paula Patton, and Golden Globe-winner and five-time nominee Jeremy Piven did the honours. Leading the field with seven nominations was Birdman. Its nominations included Best Picture — Comedy or Musical, Best Director, Best Screenplay and a Best Actor nod for Michael Keaton. It's competitors for Best Picture – Comedy or Musical are The Grand Budapest Hotel, Into the Woods, Pride and St. Vincent. The Best Motion Picture – Drama nominees are Boyhood, Foxcatcher, The Imitation Game, Selma and The Theory of Everything. 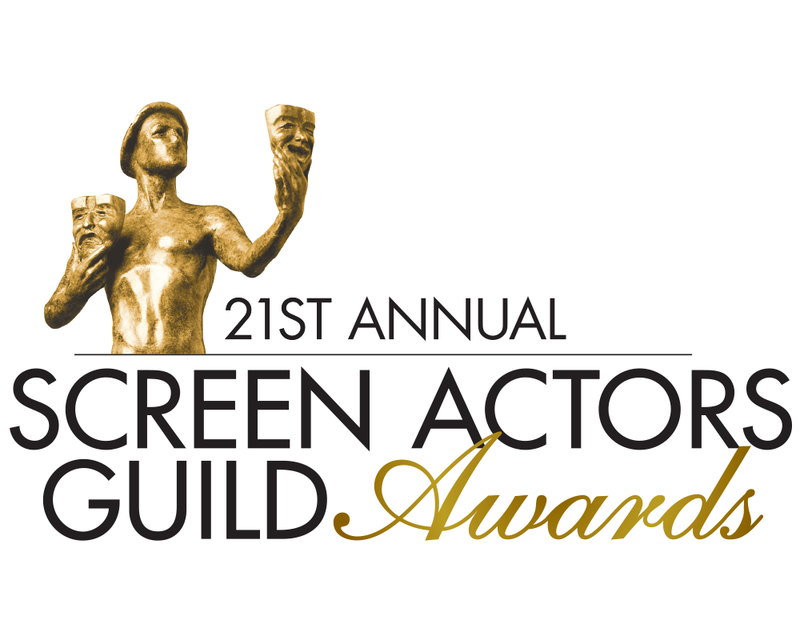 Nominees for the 21st Annual Screen Actors Guild Awards® for outstanding performances in 2014 in five film and eight television categories, as well as the SAG Awards® honors for outstanding action performances by film and television stunt ensembles were announced this morning in Los Angeles at the Pacific Design Center’s SilverScreen Theater in West Hollywood. Sundance Institute announced today the program of short films selected to screen at the 2015 Sundance Film Festival, January 22 to February 1 in Park City, Salt Lake City, Ogden and Sundance, Utah. 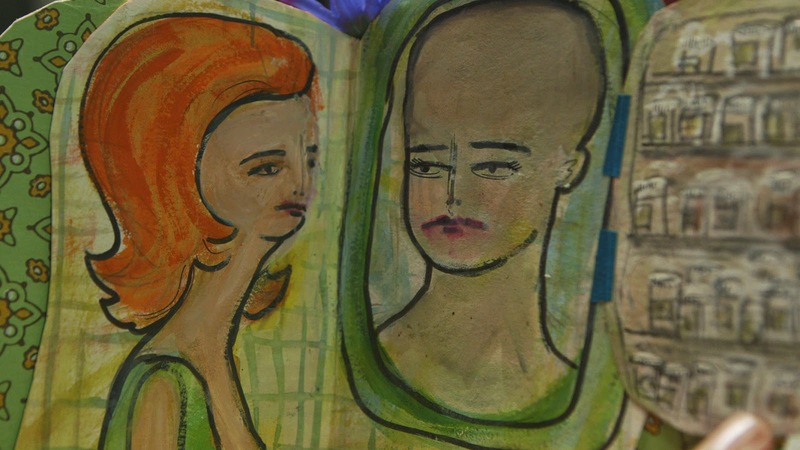 The 2015 Short Film program is comprised of 60 short films selected from 8,061 submissions. The Festival is the centerpiece of the year-round public programs for the Institute, which also hosts 24 residency labs and grants more than $2.5 million to independent artists each year. Mike Plante, Senior Programmer for the Sundance Film Festival, said, "This year's short filmmakers have broken through their limited timeframe with a high level of artistry and story that will resonate with audiences long after each film has ended." Sundance Institute and the Festival have long supported the creation and exhibition of short films. A record 8,161 short films were submitted for consideration for the 2014 Sundance Film Festival. Notable Institute alumni who started their careers with short films include Wes Anderson, Todd Haynes, Spike Jonze, Debra Granik, Paul Thomas Anderson, David O. Russell, Trey Parker and Matt Stone, Tamara Jenkins and Jason Reitman. In addition to the short film program at the Festival, the Institute also hosts daylong workshops for short filmmakers and a program of short films that screens in theaters across the country. The Cinema Eye Honors for Nonfiction Filmmaking today announced the five nominees for its annual Cinema Eye Heterodox Award, sponsored by Filmmaker Magazine, a publication of IFP. The Cinema Eye Heterodox Award honors a narrative fiction film that imaginatively incorporates nonfiction strategies, content and/or modes of production. Sundance Institute announced today the films selected to screen in the out-of-competition Premieres and Documentary Premieres sections, as well as the selections for a new Special Events section and participants for two panels, at the 2015 Sundance Film Festival, January 22 to February 1 in Park City, Salt Lake City, Ogden and Sundance, Utah. The Festival is the centerpiece of the year-round public programs for the Institute, which also hosts 24 residency labs and grants more than $2.5 million to independent artists each year. John Cooper, Director of the Sundance Film Festival, said, "Filmmakers in the Premieres and Documentary Premieres sections, many of whom are returning to the Festival, do not shy away from controversial, challenging and provocative subject matter. Their work enrages, engages and entertains audiences, shining a light on issues and people we thought we knew." Trevor Groth, Director of Programming for the Sundance Film Festival, said, "As artists continue to explore evolving forms of storytelling, this year's new Special Events section allows us the space to showcase episodic content and live performance. With this addition, the Festival offers a more complete look at the creative opportunities for independent artists today." It’s that time of year again. AFI is honoring the most outstanding films and television programs of the year with AFI AWARDS. 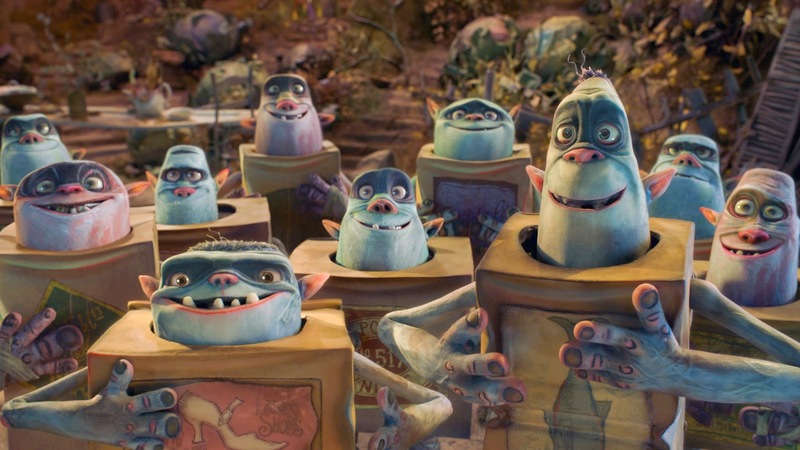 The non-competitive AFI AWARDS acknowledge the collaborative nature of film and TV production, bringing the community’s creative teams together in a unique celebration of their work. The ceremony for the 17th Moët British Independent Film Awards took place tonight at Old Billingsgate in London. The event was hosted by actor, writer and comedian Simon Bird. Matthew Warchus' gay themed miners' strike drama Pride took the top prize of Best British Independent Film. It also won both Supporting Acting categories for actors Imelda Staunton and Andrew Scott. Yann Demange's '71 had led the nominations with nine. Its only win was for Best Director. Honourary Awards were presented to actors Emma Thompson and Benedict Cumberbatch, and to director John Boorman. The International Documentary Association held their awards ceremony for the 30th Annual IDA Documentary Awards last night on the Paramount Pictures lot. The profile of whistleblower Edward Snowden by Laura Poitras Citizenfour took the top prize in winning Best Feature. The film is a gripping, powerful firsthand account of Snowden's decision to reveal the extent of government spying to Poitras and journalist Glenn Greenwald. It won against competition from Finding Vivian Maier, Point and Shoot, The Salt of the Earth and Tales of the Grim Sleeper. Each of the nominees except for Point and Shoot were also shortlisted by the Academy for their Best Documentary Oscar. Robert Redford was presented with a Career Achievement Award. The Academy of Motion Picture Arts and Sciences today announced that 10 films remain in the running in the Visual Effects category for the 87th Oscars. The Academy’s Visual Effects Branch Executive Committee determined the shortlist. All members of the Visual Effects Branch will now be invited to view 10-minute excerpts from each of the shortlisted films on Saturday, January 10, 2015. Following the screenings, the members will vote to nominate five films for final Oscar consideration. The Recording Academy did a slow roll-out of announcing the nominations for the 57th annual Grammy Awards today. Pharrell Williams and Ed Sheeran announced some of the bigger categories this morning at the Grammy Museum in Los Angeles. The remainder were unveiled on Twitter by various celebrities throughout the day. The following list of nominations is complete except for the category Album of the Year which will be revealed during tonight's broadcast of A Very Grammy Christmas. Sundance Institute announced today the films selected to screen in the 2015 Sundance Film Festival out-of-competition sections Spotlight and Park City at Midnight, as well as the films and installations to be featured in the New Frontier program. 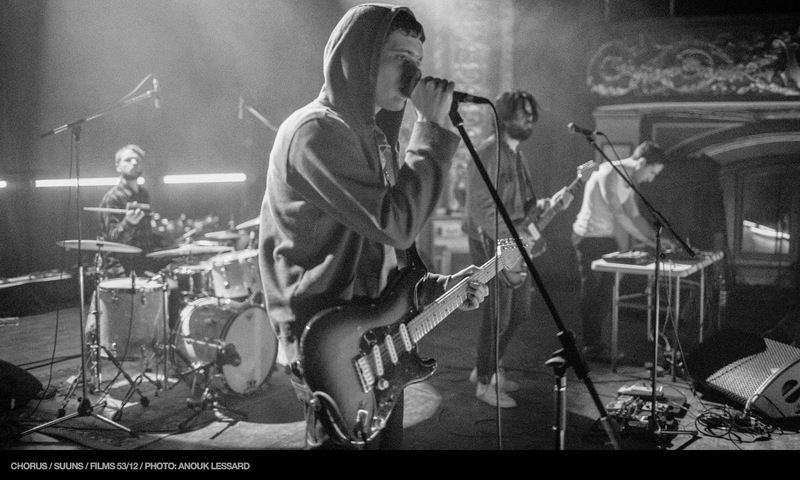 The Festival, which takes place January 22 to February 1 in Park City, Salt Lake City, Ogden and Sundance, Utah, is the centerpiece of the year-round public programs for the Institute, which also hosts 24 residency labs and grants more than $2.5 million to independent artists each year. Trevor Groth, Director of Programming for the Sundance Film Festival, said, "This year's Park City at Midnight selections have much to offer genre enthusiasts. With everything from futuristic fantasies to paranormal nightmares, it's an all-out trip to the cinematic edge." New Frontier champions films that expand, experiment with, and explode traditional storytelling. Recognizing the crossroads of film, art, and media technology as a hotbed for cinematic innovation, New Frontier is also a venue showcasing innovative media installations and panel discussions that explore the expansion of cinema culture in today's rapidly changing media landscape. The installations will be housed on the top two floors of the historic Claim Jumper, at 573 Main Street in Park City. Admission to all New Frontier installations is free. We’re delighted to announce the very first artists of the 36th edition of the Festival International de Jazz de Montréal, presented by TD in collaboration with Rio Tinto Alcan—just in time to add them to everyone’s Christmas wish lists! Tickets for these concerts go on sale this Friday, December 5 at noon… although Spectra Newsletter subscribers (subscription is free at infolettrespectra.ca), can purchase them Thursday, December 4, from 10 a.m. to 10 p.m.
Sundance Institute announced today the films selected for the U.S. and World Cinema Dramatic and Documentary Competitions and the out-of-competition NEXT <=> section of the 2015 Sundance Film Festival, January 22 to February 1 in Park City, Salt Lake City, Ogden and Sundance, Utah. The Festival is the centerpiece of the year-round public programs for the Institute, which also hosts 24 residency labs and grants more than $2.5 million to independent artists each year. Robert Redford, President & Founder of Sundance Institute, said, "The work of independent artists inevitably reflects the state of our culture and the times in which we live. 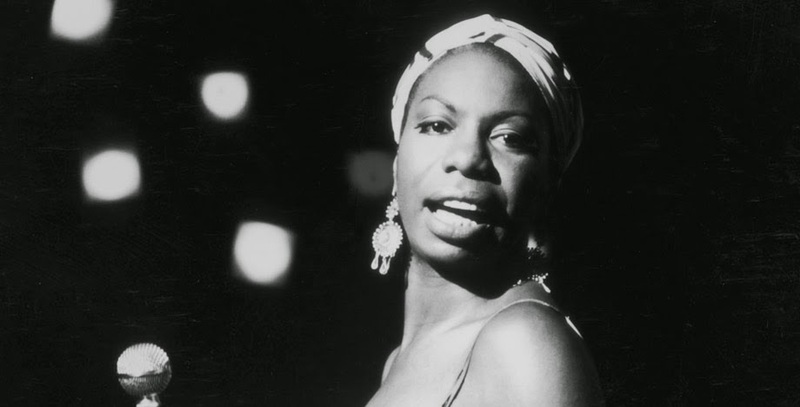 Their stories are often irreverent, challenging, compelling and unexpected, and not only possess the power to move and hopefully inspire audiences, but also to speak to our shared humanity." Keri Putnam, Executive Director of Sundance Institute, said, "Independent artists are embracing diverse forms of storytelling – from feature film to New Frontier to episodic content. In response to their risk-taking spirit, we continue to evolve our Festival and other programs to seek out the best ways to support original and inventive storytellers." 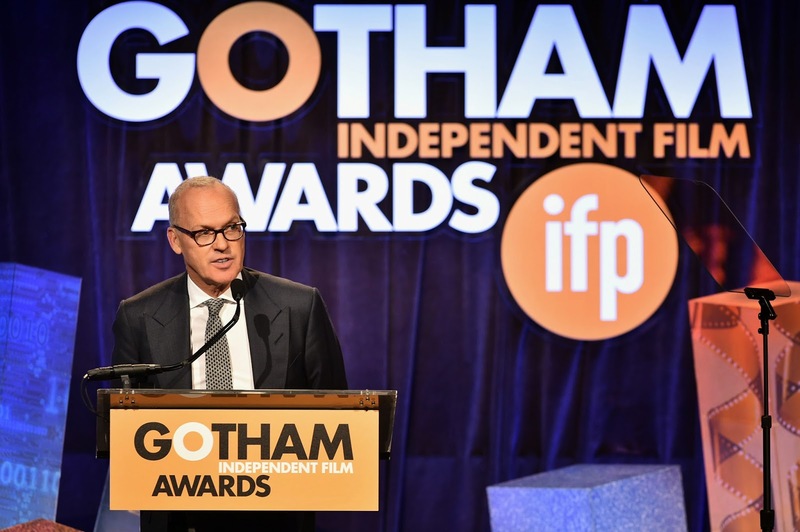 The Independent Filmmaker Project (IFP) tonight announced the winners of the 24thAnnual Gotham Independent Film Awards at its awards ceremony held at Cipriani Wall Street, in New York City. Winning the Best Feature award was Birdman or (The Unexpected Virtue of Ignorance), Alejandro González Iñárritu’s stylistically adventurous existential comedy in which a Hollywood actor attempts to revive his career and obliterate his superhero image past by producing and starring in a serious Broadway drama. Iñárritu previously received a Gotham Tribute in 2006. The award for Best Documentary went to CITIZENFOUR, Laura Poitras’ inside, of-the-moment telling of the Edward Snowden revelations on the massive covert surveillance programs run by the NSA and other intelligence agencies – the third film in her trilogy on post-9/11 America. Poitras previously won this award in 2010 for The Oath, the second film in the trilogy. TIFF toasted the nation’s cinematic trailblazers tonight, announcing the top 10 feature, short film and student film selections for the 14th annual Canada’s Top Ten Film Festival. Established by TIFF in 2001, the Canada’s Top Ten Film Festival celebrates and promotes contemporary Canadian cinema and raises awareness of Canadian achievements in film. The 10-day festival runs January 2 to 11, 2015 at TIFF Bell Lightbox in Toronto and presents public screenings of the selected films accompanied by introductions and Q&A sessions with filmmakers, as well as special events and free engagements. On January 10, the festival welcomes Canadian author and activist Naomi Klein and filmmaker Avi Lewis for an onstage conversation and a sneak peek at This Changes Everything, the upcoming documentary inspired by Klein’s new book. The one and only Keanu Reeves will close the festival, taking the stage on January 11 for an intimate discussion about his iconic career. The festival’s tour across Canada includes stops in Vancouver, Edmonton, Calgary, Winnipeg and Montreal; Vancouver’s The Cinematheque will host a special onstage conversation with star of the big and small screen Sandra Oh. The Producers Guild of America on Monday announced the nominees for best documentary, TV series/specials and digital series. Also set to be honoured at the ceremony are Jon Feltheimer with the Milestone Award, Mark Gordon with the Norman Lear Achievement Award in Television and Gale Anne Hurd with the David O. Selznick Achievement Award. One of the awards season’s marquee events, the Producers Guild Awards celebrates the finest producing work of the year, and gives the Guild an opportunity to honour some of the living legends who have shaped our profession. Considered a strong prognosticator for the Best Picture Oscar®, the announcement of the Guild’s Darryl F. Zanuck Producer of the Year Award in Theatrical Motion Pictures is one of the most eagerly-anticipated of the season. The International Press Academy (IPA) announced its nominations for the 19th Annual Satellite™ Awards in the Motion Pictures and Television categories. Each year, the IPA celebrates nominees from domestic and international submissions for 38 categories: 19 in Motion Pictures, 13 in Television, 2 in Blu-ray DVDs and 4 in Video Games. 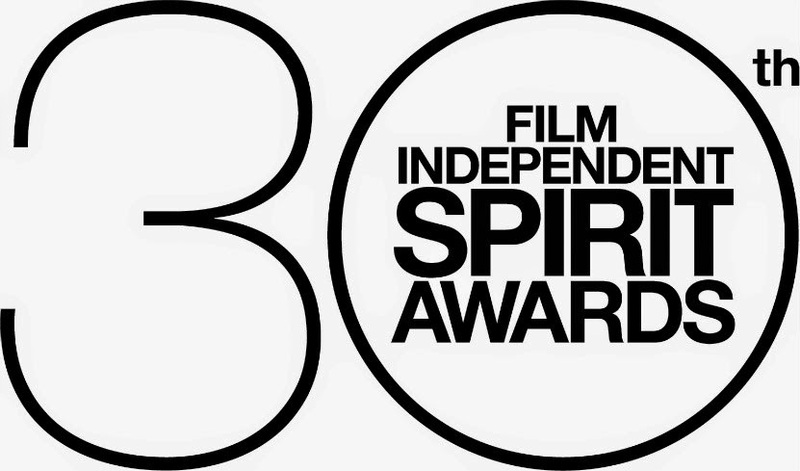 Film Independent, the nonprofit arts organization that produces the Film Independent Spirit Awards, the Los Angeles Film Festival and Film Independent at LACMA, announced nominations for the 2015 Spirit Awards this morning. Film Independent President Josh Welsh presided over the press conference held at the W Hollywood, with actors Rosario Dawson and Diego Luna presenting the nominations. Nominees for Best Feature included Birdman or (The Unexpected Virtue of Ignorance), Boyhood, Love is Strange, Selma and Whiplash. "As we celebrate 30 years of great independent film," said Josh Welsh, President of Film Independent, "this year's nominees are an astonishingly strong group of films and filmmakers which demonstrate the uniqueness of vision we honor at this show." Inherent Vice was selected to receive the Robert Altman Award, which is bestowed upon one film's director, casting director and ensemble cast. The Altman Award was created in 2008 in honor of legendary director Robert Altman who was known for creating extraordinary ensemble casts. The 42nd American Music Awards was held tonight at the Nokia Theatre L.A. Live in Los Angeles, California. The event was hosted by Pitbull, and performers included Taylor Swift, Charli XCX, Magic!, 5 Seconds of Summer, Imagine Dragons, Sam Smith, Iggy Azalea, Lorde, Ariana Grande, The Weeknd, Selena Gomez, One Direction, Nicki Minaj, Fergie, Garth Brooks, Mary J. Blige and Jennifer Lopez. The top winner was One Direction. They took three awards – Artist of the Year, Favorite Band, Duo Or Group – Pop/Rock, and Favorite Album – Pop/Rock. Katy Perry also claimed three wins. She won Single of the Year, Favorite Female Artist – Pop/Rock, and Favorite Artist — Adult Contemporary. Iggy Azalea and Beyoncé both won two apiece. Iggy Azalea's wins were for Favorite Artist and Favourite Album in the Rap/Hip-Hop category. Beyoncé was winner for Favorite Female Artist and Favourite Album in the Soul/R&B Female section. The 17th annual Rencontres internationales du documentaire de Montréal / Montreal International Documentary Festival held its awards presentation last night prior to the closing night screening of Spartiates (Spartans) by Nicolas Wadimoff. The film is an observational look at a mixed martial arts trainer in a rough neighbourhood of Marseille struggling to keep his school going while also being competitive himself. 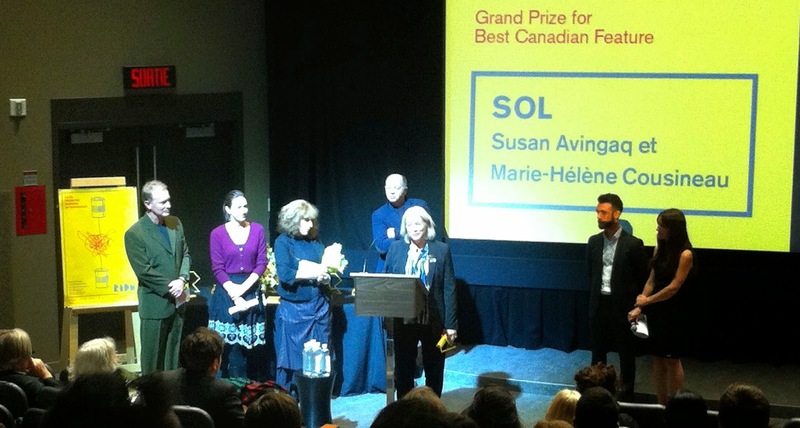 The top prize of Best Canadian Feature went to Sol by Marie-Hélène Cousineau and Susan Avingaq, while the Best International Feature was Once Upon a Time by Kazim Öz. The Audience Award went to the timely and relevant Citizenfour by Laura Poitras. Amar Wala's The Secret Trial 5 was winner of the Magnus Isaacson Award, given in honour of the late, great documentarian for socially-conscious work of cinema by an emerging director. Thirty-six feature films and six shorts will vie for this year’s Cinema Eye Honors for Nonfiction Filmmaking as nominees were announced this evening at a reception at CPH:DOX in Copenhagen, Denmark. Winners will be announced January 7, 2015 at the Museum of the Moving Image in New York City. 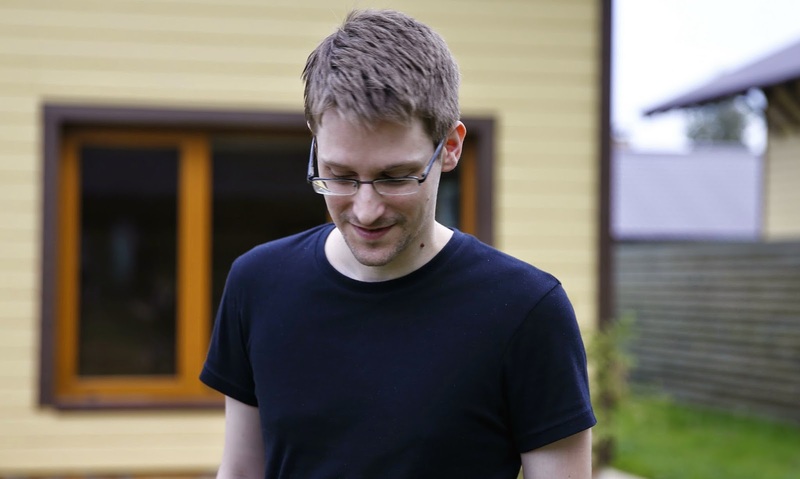 Laura Poitras’ first-person recounting of Edward Snowden’s NSA leaks, Citizenfour, led all films with six nominations, including Outstanding Nonfiction Feature, while Steve James’ documentary about film critic Roger Ebert, Life Itself, and Iain Forsythe & Jane Pollard’s intimate look at musician Nick Cave, 20,000 Days on Earth received five each. They are joined in the Nonfiction Feature Film category by The Overnighters, Jesse Moss’ tale of a a North Dakota oil boom town, which has two nominations, and Virunga, Orlando von Einsiedel’s story of an African National Park under siege, which scored three. The 17th annual Rencontres internationales du documentaire de Montréal / Montreal International Documentary Festival is coming up from November 12 to 23. With 141 films from 44 countries and more than a hundred guests, this year’s RIDM is more exciting than ever. The festival will present 21 world premieres, 19 North American premieres, 21 Canadian premieres and 47 Quebec premieres. Quebec has pride of place in the line-up with no fewer than 35 local films of all lengths by our most accomplished filmmakers and our most promising up-and-comers. 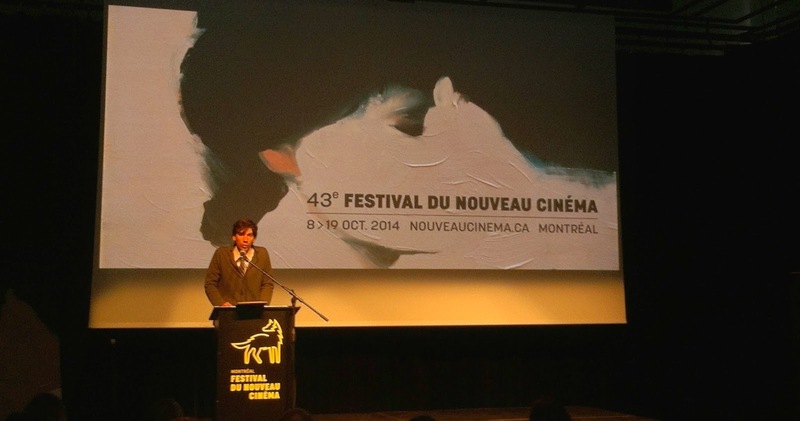 The RIDM is honoured to open with the world premiere of Le nez by Quebec filmmaker Kim Nguyen. The Rebelle (War Witch) director takes us on a fascinating journey through the mysterious world of the sense of smell. Closing the festival is another world premiere: the new documentary Spartiates by Swiss filmmaker Nicolas Wadimoff (Clandestins and Aisheen - Still Alive in Gaza). We travel to the outskirts of Marseille, where a mixed martial arts instructor - a larger-than-life personality and a strict taskmaster - is struggling to keep his school open. One of the biggest global annual music events celebrating the hottest artists from around the world, the 2014 MTV EMA (Europe Music Awards) was punctuated with outrageous, unexpected moments, once-in-a-lifetime collaborations and rousing performances that will undoubtedly go down in history. This year's show transformed Glasgow's SSE Hydro into an unforgettable time-travelling extravaganza, catapulting viewers through memories of the most outlandish moments in the MTV EMA's 20-year history. The show kicked-off by transporting viewers back to 1994, where a young Nicki Minaj watched the first-ever MTV EMA from her bedroom before traveling into the future, making a grand entrance into the 2014 MTV EMA in a frilled ball gown and sequined bra . "Her Royal Minajesty" truly commandeered the evening, taking home the award for Best Hip Hop, and even giving the audience a show-stopping, jaw-dropping blend of her biggest hits including 'Super Bass', 'Anaconda' and a global debut performance of her new track 'Bed of Lies', which featured a surprise appearance by Skylar Grey. The host also made it rain, telling the Glasgow crowd, "it's my round!" before showering them with enough "Minaj money" for 1,000 free drinks. At the Seville European Film Festival the European Film Academy and EFA Productions proudly announced the nominations for the 27th European Film Awards. The more than 3,000 EFA Members will now vote for the winners who will be presented during the awards ceremony on 13 December in Riga, European Capital of Culture 2014. Pawel Pawlikowski’s black-and-white film Ida led the field with five nominations. They were for Best European Film, Director, Screenplay, and Actress nominations for its co-stars Agata Trzebuchowska and Agata Kulesza. Lukasz Zal and Ryszard Lenczewski were named European Cinematographer by a jury selecting winners for the craft/technical categories. Russian director Andrey Zvyagintsev‘s Leviathan was next with four nominations. It was also nominated for Best European Film, Director and Screenplay, and Aleksei Serebryakov was nominated for European Actor. Twenty features have been submitted for consideration in the Animated Feature Film category for the 87th Academy Awards®. Several of the films have not yet had their required Los Angeles qualifying run. Submitted features must fulfill the theatrical release requirements and comply with all of the category’s other qualifying rules before they can advance in the voting process. At least eight eligible animated features must be theatrically released in Los Angeles County within the calendar year for this category to be activated. One hundred thirty-four features have been submitted for consideration in the Documentary Feature category for the 87th Academy Awards®. The International Documentary Association (IDA) announced nominations for the 2014 IDA Documentary Awards today. This 30th edition of the world’s most prestigious awards for nonfiction filmmaking will take place on Friday, December 5th at the Paramount Theatre at Paramount Studios in Los Angeles. The five films nominated in IDA’s Feature category are: CITIZENFOUR, Laura Poitras’ portrait of whistleblowers, including Edward Snowden, and the disturbing state of surveillance of civilians in the post 9/11 age; FINDING VIVIAN MAIER, John Maloof and Charlie Siskel’s accounting of the discovery in an abandoned storage locker of what would turn out to be the work of one of the 20th Century’s greatest photographers; POINT AND SHOOT from Marshall Curry, the firsthand account of Matt Van Dyke’s personal odyssey in North Africa including fighting and imprisonment during the revolution in Libya; THE SALT OF THE EARTH, directors Wim Wenders and Juliano Ribeiro Salgado’s poetic examination of the life and work of photographer Sebastião Salgado; and TALES OF THE GRIM SLEEPER, Nick Broomfield’s investigation of the notorious serial killer who terrorized South Central Los Angeles over a twenty-five year span. The American Music Awards, the world’s biggest fan-voted award show, today announced the 2014 American Music Awards nominees. In advance of today’s announcement, recording artists Jason Derulo and Charli XCX rose at the crack of dawn to reveal 5 categories of nominees on ABC’s “Good Morning America.” (See the full list of nominees below). It was also announced today on “GMA” that Charli XCX will perform for the first time on the AMAs. The American Music Awards will broadcast live from the NOKIA Theatre L.A. LIVE on Sunday, November 23rd (8:00-11:00 p.m. ET/PT) on ABC. Iggy Azalea leads this year with six nominations. John Legend, Katy Perry and Pharrell Williams follow with five nominations each, while Lorde earns four nominations. Additionally, Beyoncé, Eminem, Imagine Dragons, OneRepublic and One Direction were nominated for three awards. Bastille, Drake, Luke Bryan and Sam Smith each receive two nominations. A record 83 countries have submitted films for consideration in the Foreign Language Film category for the 87th Academy Awards®. Kosovo, Malta, Mauritania and Panama are first-time entrants. The Toronto Reel Asian International Film Festival (Reel Asian), presented by National Bank, celebrates its 18th annual edition from November 6 to 16, 2014 with high-profile guests from around the world, new venues and three special projects focused on themes of memory and archive. This year, Reel Asian will present 44 films from 10 regions including Cambodia, China, Hong Kong, India, Japan, South Korea, the Philippines, Taiwan, Canada and the United States. Tonight, the 43rd edition of Montreal's Festival du nouveau cinéma kicks off with a screening of Philippe Falardeau’s The Good Lie at Théâtre de Maisonneuve. It stars Reese Witherspoon, Corey Stoll, Arnold Oceng, Ger Duany, Emmanuel Jal and Kuoth Wiel. The film tells the real-life story of an American woman who helps four Sudanese refugees who have won a lottery to be relocated to the United States. The film will be preceded by a screening of the short film Mynarski Death Plummet by Montreal's Matthew Rankin. After the screening, there will be an opening night party at the Agora Hydro-Québec in UQAM’s Cœur des Sciences, which serves as the Festival headquarters. That is also where the festival holds its parties each subsequent night. The parties are free and open to the public. Other highlights of the festival include works by other Quebeckers such as Maxime Giroux’s Félix and Meira, Rodrigue Jean’s Love in the Time of Civil War, The Price we Pay by Harold Crooks, In Her Place by Albert Shin, and Wild by Jean-Marc Vallée. Additional highlights include David Cronenberg's Maps to the Stars, Boychoir by François Girard, Nightcrawler by Dan Gilroy, and The Tale of Princess Kaguya by Isao Takahata. The closing film will is the documentary The Salt of the Earth (Le sel de la terre) by Wim Wenders and Juliano Ribeiro Salgado.